As part of its effort to boost communication with the masses, the country’s Ministry of National Defense has recently opened its official accounts on WeChat and Sina Weibo and received warm welcome from netizens. The move made by the ministry was officially launched on Tuesday. The social media accounts of the defense ministry will feature live updates on the release of a white paper tackling China's military strategy. Embodying an intimate and cozy tone, the Weibo account of the ministry received over 28,000 followers and 1,400 comments. The figures are still counting. Meanwhile, the WeChat account stated that its posts will mainly be about the release of information on the ministry's policies, military construction, and military cooperation and exchange. Netizens, on the other hand, hoped that the social media platform could serve as an avenue where the defense officials can respond to disputes. Song Jianwu, dean of China University of Political Science and Law's School of Journalism and Media, told the Global Times that the creation of official social media accounts "is part of efforts to make government affairs more open." Song also noted that the move can "help reduce doubts over China's national defense development raised by the international community." 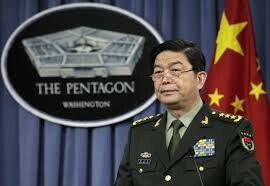 Turning a rather "mysterious" department to a more transparent one could also encourage more people to turn their attention to China's national defense strategy, voiced out Zhang Zhi'an, a professor affiliated with the School of Communication and Design of Sun Yat-sen University. However, the academicians warned that interaction with its online followers without disclosing some military secrets could be the biggest challenge the ministry could face. The Ministry of Defense has long been stepping up its effort to reach out to the public. Earlier in April 2011, it has started holding regular press briefing, which is on the last Wednesday of every month. As of July last year, the briefing is now open to foreign media, welcoming the international community in the country's military arena. As well, the country's military has been utilizing social media sites to open up to the public. For instance, in 2011 and 2012 respectively, the People's Liberation Army Daily and the Chinese navy set up their Weibo accounts.